Concerns in the early 21st Century around dwindling oil reserves and their impact on the food system are nothing new and come as no surprise. Way back in the 1970s, for example, school geography classes taught of non-renewable energies, their lifespan and our dependency on them. 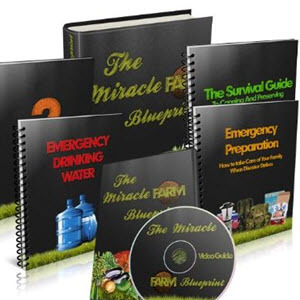 It was not a fear of oil depletion that inspired the research upon which this book is based, nor any other fear over the state of our food system be it food shortages, human ill-health or environmental degradation. This research was instigated by a deep curiosity to understand why what seemed a more common-sense and logical approach to food and farming was not being practised. For it seemed logical to want to enrich and regenerate the natural resource base for the creation of vibrant, healthy food systems. It seemed logical to want to work in harmony with ecological processes and to avoid destructive activities that continually proved not to work. Yet this logic was not shared by the mainstream, and thus there must be good reasons why not, mustn't there? Thus the author spent over ten years working in agriculture worldwide, with farmers, government officials, researchers and more, looking and listening out for these good reasons. She found none. Then, in 1993, news came through of a situation that might prove once and for all the feasibility of a supposedly more logical farming approach, news of one country that was making a nationwide shift to organic agriculture: Cuba. Several years of planning and organising culminated in the execution of doctorate research on the coping strategies of the Cuban people as they attempted to feed themselves after their main suppliers of food and fuel had been permanently cut off with the dissolution of the Socialist Bloc in 1989. During the period of the early to mid 1990s, news from Cuba comprised mainly anecdotal stories from short-stay visitors to the country, visitors who were exposed only to the emerging successes of urban agriculture. Little news was coming through of what was going on in rural areas, or of the food system in general. This book attempts to fill that gap. It also turns out to be a snapshot from an era that may not be repeated, for into the new Millennium has come a slight but steady increase in prosperity, changes in governance, and even the prospect of national oil reserves for Cuba, all of which have served to diminish the country's need to implement alternative farming and food systems. It came as no surprise to find that Cuba was not, as a whole, farming organically. An absence of fuel and agrochemicals is not synonymous with organic agriculture. The enigma of Cuba has provided great inspiration and vision for communities all over the world intent on developing more localised, sustainable food systems. Yet dispelling the organic myth is important in order to learn from the country's real experiences and so to enable other nations and communities to move further toward their goals. That said, the Cuban experience is interpreted and written through the eyes of the author, a foreigner. During the 1990s, rural social sciences were little developed in Cuba and studies such as this one were not undertaken by Cuban nationals. This situation has since changed, and more nuanced and personal accounts of the period will no doubt ensue. Acknowledgement is due to everyone who advised, facilitated, contributed and got involved in some way over the lengthy period of producing this work, in Cuba, the Netherlands and England. The three farsighted enablers were Professor Niels Roling of Wageningen University, the Netherlands, Dr Humberto Ríos Labrada of the Instituto Nacional de Ciencias Agrícolas, Havana, and the European Commission, which came up with the initial research grant. Other key people helped enormously; they know who they are.